Lose years, pounds and aches and pains with these powerful anti aging foods. Watch your complexion clear and your energy levels soar. Ditch the processed foods, sugar, salt and additives and eat super foods packed full of vitamins, minerals and antioxidants essential for a healthy body. Just replace some of your daily foods with super foods from the list below and and you will soon begin to experience the rewards of a healthy diet! Enhanced energy and vitality and a lower risk of all sorts of age related diseases. You owe it to yourself.. Fruits: They are full of vitamins, antioxidants and phytonutrients to protect skin, eyes, bones and immune system. contain a host of vitamins and minerals. All vegetables and salad: Again vitamins A. B group and C plus beta carotene improving the immune system and heart health. cholesterol and B vitamins, magnesium, zinc and iron. improve immunity and are a super anti aging food for the skin. essential properties too many to list. Good Fats and Oil: Cold pressed oils like olive oil are essential for heart health and can help to lower blood pressure and the risk of diabetes. They provide essential antioxidant protection and anti inflammatory properties to calm and soothe the skin. One of the best anti aging foods! Fish: Especially the oily kind, tuna, salmon, herring and sardines. These Brain Foods contain vitamins A, B, D and E and omega-3 to boost the immune system and maintain those gray cells. Lean meat: Chicken, turkey and game are best. Healthy low fat (without skin) proteins with lots of vitamin B. Protein is vital for cell repair. 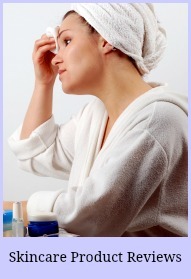 Selenium helps prevent wrinkles and iron and zinc to boost energy levels. Cheese and milk: The calcium in milk helps to prevent osteoperosis and may help lower blood pressure. B12 is linked to improving memory and hearing. Contains vitamin E for skin and eye health. Eats lots of live yoghurt for the friendly bacteria. Cheese has similar properties but contains more fat so keep to a minimum. benefits quickly and lose weight without ever being hungry. Why do we need antioxidants? Take a look at this 2 minute video! fun. Get tips on preparing the super foods to preserve the anti aging nutrients. essential for body health and skin condition. But dont forget the best anti aging treatment is water so drink at least 1 1/2 liters for supple healthy skin, a clear complexion and fewer wrinkles. 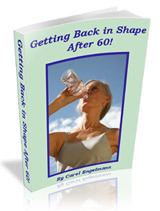 Why is water important for us at our age? I have put together some important information including how to recognize dehydration and also what to do about it! I hope you have made a list of your favorite anti aging foods so you can now go on to apply these healthy eating guidelines and get started on a daily diet that will show rewards very soon!